Super alloys such NIMONIC alloy 75 and those from the INCONEL alloy range, have proven applications in civilian and military jet engines. INCONEL alloy 600 is a standard engineering material for applications requiring resistance to corrosion and heat. Its excellent mechanical properties provide high strength and good workability. 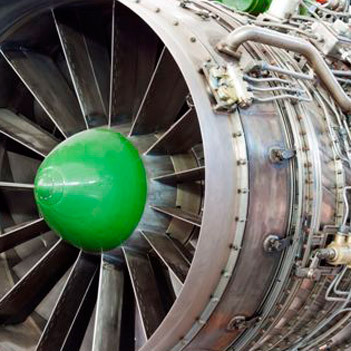 In the aeronautical field, INCONEL alloy 600 is used for a variety of jet engines and airframe components, such as lockwire, exhaust liners and turbine seals. An outstanding characteristic of INCONEL alloy 601 is its resistance to high temperature oxidation and aqueous corrosion. INCONEL alloy 601 has high mechanical strength, and is readily formed, machined and welded - making it a broad utility material in jet engines and aerospace, in general. INCONEL alloy 713C has wide acceptance in the super alloy class, due to its inherent castability, stability and high level of strength, as well as ductility at elevated temperatures. Commercial applications include vane material and first stage blading in jet engines. The alloy is included in both experimental jet engines and turbine production. NIMONIC alloy 75 is used mostly for sheet applications requiring oxidation and scaling resistance and high operating temperatures. One of the many super alloys we offer, NIMONIC alloy 75 can be readily fabricated and welded. UDIMET® alloy 720 is another super alloy that is used within the aeronautical field in discs. UDIMET® alloy 720 also provides an ultra high property version for blading applications. If you would like to know more about the role of INCONEL alloy 600, INCONEL alloy 601, INCONEL alloy 713C, NIMONIC alloy 75 and UDIMET® alloy 720 within the construction of jet engines aerospace, email us on sales@corrotherm.co.uk and let’s get talking.